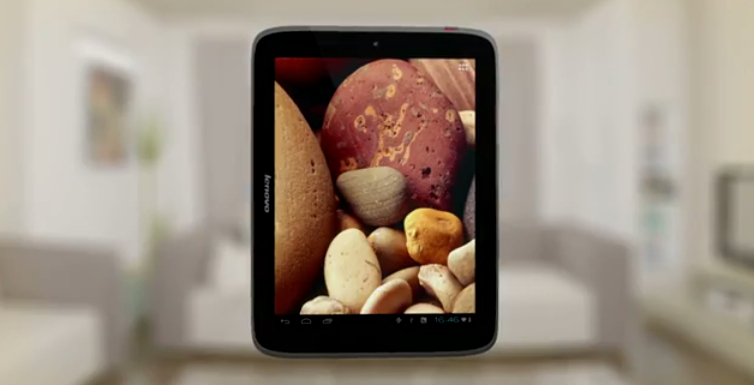 Lenovo has come up with yet another IdeaTab, this time looking to compete in the Apple iPad 2 market. The Android Tablet market was raining tablets already, but Lenovo’s latest IdeaTab S2109 is quite unique in its use of iPad-like proportions, the tablets teaser was spotted by SlashGear having a 9.7 inch display along with a 1024 X 768 resolution alike the Apple’s older iPads. Although the majority of the upcoming tablets are longer and even narrower than the IdeaPad, and are 10.1 inched along with a 1280 X 800 resolution. The quality of the videos on these tablets is definitely better even comparable to the aspect ratio of an HD movie, but the portrait orientation makes them a bit awkward to use mostly because of their unnecessary height. Lenovo claims the tablet’s unibody shell-meaning that it’s made of a single piece of material-along with its “gunmetal” finish and thickness of 0.35 inches. A front-facing 1.3 Mega-pixel camera, four speakers on the back, 10hours of battery life, Micro USB Ports, Micro HDMI and Micro SD are among the other specs for the IdeaTab S2109. As far the Operating System is concerned, the tab will run the Android 4.0 Ice Cream Sandwich. But what the promotional video doesn’t reveal about the tablet is the RAM and processor stuffed in it followed by the price or even a release date. Knowing that the Apple iPad 2 is now just for $399, Lenovo will try to go a little cheaper to run over the competition.